Zydeco is in the blood and traditions of Creole South Louisiana. These traditions are passed down from generation to generation within families who live and work in this unique part of the United States. Never is that more evident than here, in Morris’ debut CD release, Swing That Thing. Morris has been performing Zydeco music since his teens, at first on his own, and then for many years with his wife, Rosie Ledet. Today, Morris has taken to finding his early roots as a front person and this album stakes a claim to his return. Additionally, his daughter Kasandra’s lead vocals are showcased on several original and cover tunes. 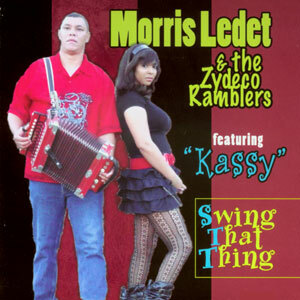 This album also marks the young Kasandra’s inclusion to the Zydeco traditions of her culture. Not to be left out is Morris’s father, Lanice Ledet, who also performs with the band. 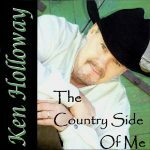 Released in January 2012, 12 tracks.